​" The work was the most professional I've seen in my life "
​​​" It's hard to find a contractor that deals with people the way Mike does "
​" The craftsmanship of the jointery is like furniture "
" The best contractor I have ever worked with"
​" Basically an A+ "
​​​"As always, a pleasure to work with...can't be happier with the end result"
​​​​"Patient, honorable and has great ideas! " 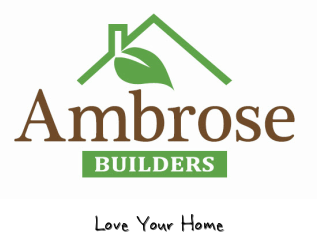 ​Ambrose Builders remodels kitchens and homes in Chicago and many western suburbs like Downers Grove, La Grange, Elmhurst and many others. We can Design/Build or build your design...or a little bit of both. Interior design and preferred partner financing as well. Our project size starts at right around $50K which is where a total kitchen overhaul starts at. We're well-reviewed, organized and easy to get along with. We work with expert craftsmen so you'll notice the difference in quality. Estimates are accurate, detailed with allowances for everything. ​and decide which option makes the most sense. 2nd story addition or tear down and build new? Or buy an old home and do a full gut rehab? Add a second floor maybe, reconfigure first? Expand/open the kitchen or leave existing footprint? ​Are we a ﻿good fit? ​We don't like to waste your time. If we both agree that we might be a good fit for your project we'll set up a meeting. ​Then we'll spend all the time you need. Working with a talented team of tradesmen who are dedicated specialists in their respective fields helps put our clients at ease. Respectful, open communication and organized projects go a long way towards positive reviews.
" Mike's crew is the best in the business: friendly, hard-working, trustworthy and true craftsmen "
" 'Mountains into mole hills' attitude and service proved to be invaluable "
" Couldn't be happier "
" Project management page...proved to be a very effective tool...updates...pictures...ask questions "
" ﻿In our opinion Mike Ambrose is a man of integrity who really cares that his customers are happy "
" Very responsive to Basecamp posts, text messages, and voicemails "
" Ambrose communicated with me throughout the process and I knew there weren't going to be surprises"
" Literally treats the project as if it were his own home "
" I give the highest recommendation to Ambrose Builders "
It's an online project collaboration site that keeps you in constant contact, organized and always in the know on every detail of your home construction project. Our clients love it and you will too. We haven't needed any fine print in 15 years in business. Why would we start now? It means we might just take care of you after 2 years if you ask nicely - we have before. We believe in Karma. If you're looking for a Chicago area building contractor call us at 708.935.5958.